Former Vice president, Atiku Abubakar, has expressed shock over an online report that one of the freed Chibok girls attempted suicide to prevent being enrolled in his school, ABTI academy. Mr. Abubakar also charged President Muhammadu Buhari’s led government to restore security to all parts of the country. An online media had reported that Lugwa Sanda, one of the girls released from Boko Haram captivity, drank a liquid stain remover known as Jik to prevent the government’s decision to make her attend the school. Quoting sources, the media alleged that most of the girls were opposed to going to the school owing to recent attacks in parts of Adamawa State where the school is located. Reacting through a statement by his media adviser, Paul Ibe, Mr. Abubakar said he was “not aware anyone is forced to attend ABTI schools”. 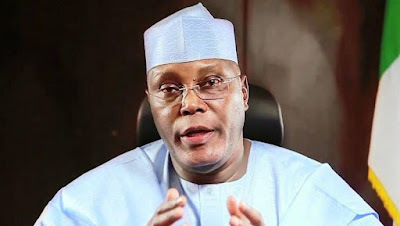 “Atiku, the founder of the AUN Group of Schools, is shocked that some would-be journalists think it is fair game to exploit a young girl’s trauma to score cheap political points. “Unfortunately, the best intentions can backfire. These girls are still healing, and clearly, the recent deterioration of the security situation in the North East has opened old wounds,” the statement reads. Mr. Abubakar also charged the federal government to urgently fulfill its promise of providing adequate security for all Nigerians.